We would like to start by thanking all of you who have supported us, in contributing to and sharing Books: A Documentary. We truly appreciate your support and the kind words you have shared with us throughout this process. When Sara and I first set out to make a film about Larry, we really wanted to make sure that we were making a film that was more than just a bio pic. It was important to us to shed light on a world few rarely consider, the world of books. Larry set in motion Sara’s love of books, and Larry’s own works have influenced generations of writers and readers alike. Books: A Documentary is so much more than a film about an auction or Larry, it is a film about life-long passions, about community, and most of all about the power of books. There are many films based on books, but few films about books. As went enter into the final hours of our fundraising campaign, some of you may or may not know that Kickstarter works on an “All or Nothing” platform, which means that despite receiving pledges totaling over $22,500 from 145 backers, we will not see any of these pledged funds unless we reach our goal of $50,000. Our $50,000 budget is broken down into three sections – $12,000 to fees and taxes – $8,000 to the remaining filming, which includes production, insurance and travel costs – $30,000 to post-production, which includes editing and sound mixing. Having backed a number of projects on Kickstarter, it was important for us to curate the perks as items we would want for ourselves, or to share as gifts. 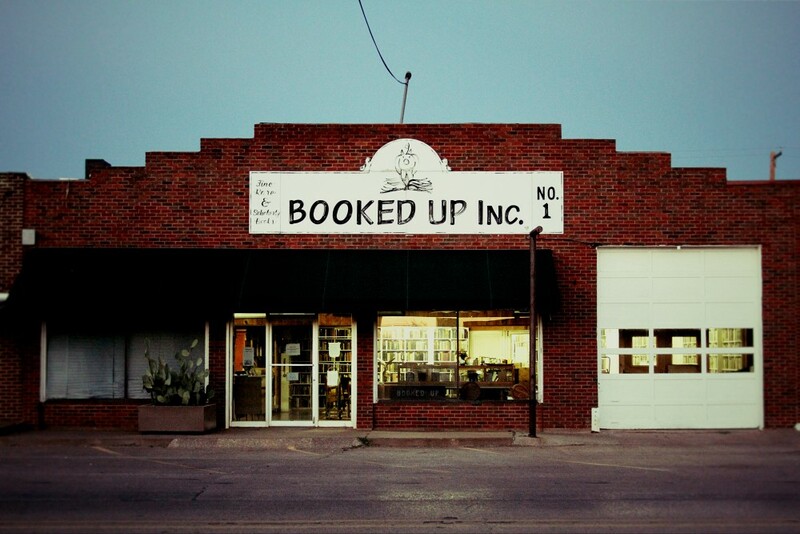 Our wish is to hold a screening of the final finished film for Larry in the last remaining building of the Archer City Booked-Up bookshop. Film production provides a series of day-to-day, minute-by-minute hurdles a crew must overcome, charge through or even pick up and carry, to complete a film. The real trick is to make a good film, where you not only enjoy the process but also the final product. To finish the film we will be undertaking a huge coordination challenge. We still have to send our camera crew to film the remaining interviews, follow up stories on the books themselves and the people who bought them across America. Efficiency will play a huge role in making this remaining stage of shooting a success. A successful film is a lot like a Gateau Marjolaine, a series of delicate layers that when put together in the right combination, create something to marvel at. Now we are not trying to say that we want to be the next Robert J. Flaherty; our goal is simply to make a really good film that you, the world and Larry will enjoy. If you’ve donated in the past, thank you. If you have not, please consider supporting us. You can do so by visiting our Kickstarter Campaign.